This has been one of those years during which time has disappeared, almost literally. It seems inconceivable that the last blog post was so long ago (please check: I cannot bear to date it). A combination of professional tasks have required a long presence in Sydney and upset a few timetables, but the real problem is that the world has gone completely mad. Some might rightly say, “Nothing new there, then!” and might very well be correct. When the egregious Peter Dutton mounted his open attack on the hapless Malcolm Turnbull (“Malcolm in the Muddle” as one wag retitled that old television show), our political cynic daughter Laura had another view. As Scott Morrison emerged from the rubble as the new boss, her view was that someone had been watching way too much television and channelling Frank Underwood in the Spacey version of House of Cards. Although Melania is no Claire, perhaps. The American real life version of that show has continued apace, of course, and combining the “Me Too” dimension via the appalling Brett Kavanaugh nomination to the Supreme Court process. Kavanaugh’s sponsor has wreaked change on us all. At least some of my complications this year emanate from Trump’s confrontation with China that has bashed share markets everywhere including Asia. That all has an indirect as well as direct impact on the global higher education system. For example, the multi-leader Australian government’s siding with Trump in belting China has some Australian university bosses worried that the rivers of funds from Chinese international students might get dammed by the Beijing bosses. So the starting figures for those students next February in Australia will be watched closely. Across in the UK Theresa May’s dance moves have attracted as much derision as her orchestral manoeuvres in the dark with the EU as a “hard BREXIT” looms. Hundreds of thousands of people have just turned out in London in support of a new people’s vote, while the Tories flirt with their change of leadership that might involve Jacob Rees Mogg or Boris Johnson, both of whom best belong in a political satire show rather than in real life. The Saudis have apparently killed one of their own in the Istanbul consulate; the war in Yemen rages; Syria now contemplates massive reconstruction after years of conflict; Chinese financial power around the world raises the prospect of a new order of power, especially but not exclusively in Africa; Italy totters on the edge of another financial collapse; and even New Zealand seems to have succumbed. Even that has not spoiled the pleasure of a brief return to Queenstown where spring has finally arrived and good bike rising weather along with that. And another way of escaping all that madness has been to catch up on some reading. When the American writer Denis Johnson died last year, several writers whom I really respect noted how much they liked his work. Having never read his work I went off finally to devour The Laughing Monsters. It is extraordinary and almost impossible to describe, but think of a cross between Conrad’s Heart of Darkness (or Brando’s Colonel Kurtz-version of that in Apocalypse Now) and Evelyn Waugh’s Scoop. 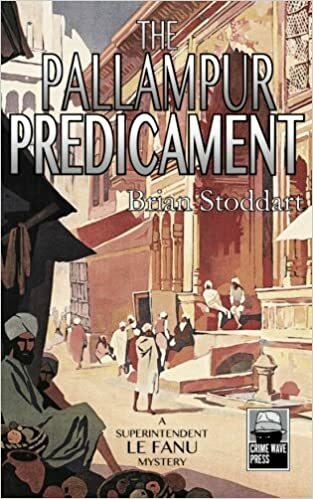 A couple of double/agents with a tortuous history meet up on a private wealth-gathering expedition in Africa, one of them accompanied by his about-to-be-wife who is the daughter of an intelligence boss. While the outcome is inconclusive, the story telling and use of language is in parts mesmerising and always compelling. If you want to escape the normal reading rut, this is a great candidate. I was less impressed by Kate Atkinson’s new book, Transcription, although many reviewers like it. She has been one of my favourite writers since I read Case Histories years ago. This new book is based around the imagined life of an ingénue woman recruited into British spy services during World War Two. Her role is to listen to then type out the printed version of secretly recorded conversations among low level Nazi sympathisers. It is a brilliant idea, Atkinson’s writing is as sharp as ever, and parts of it are terrific with the characters memorable. For me it limped along a bit, but maybe I just loved Case Histories too much – if you haven’t read that then please do, some of the most marvellous crime writing. In a similar setting, Cathi Unsworth’s That Old Black Magic is altogether different and more captivating, even if the conclusion is a bit too cerebral for me. This, too, focuses on people in Britain who did not support the war effort and on attempts to bring them to book, but locates many of these people in the world of the occult and the supernatural. Central to unravelling this is an undercover cop who himself has a occult connection as well as a flair for the show business life and suggestions of a few other different lifestyle inclinations. I really liked Unsworth’s capture of the period and this particular subculture, the characters are memorable and the plot lines clever. Well worth trying. Joseph Kanon’s Istanbul Passage is set in that city’s immediate-postwar life with spies and counter-spies on every corner, and an American businessman recruited into an operation that is well beyond his understanding. https://www.nytimes.com/2012/06/03/books/review/istanbul-passage-a-novel-by-joseph-kanon.html This is one of the best things I have read for a while, as is Alan Judd’s Uncommon Enemy that covers a similar set of themes in postwar Britain. https://www.spectator.co.uk/2012/03/thirty-years-on/ Both writers develop character extremely well, their story and plot lines are excellent, and the overall atmospherics convincing. Donna Leon has been an exemplar of crime and place, and I have written elsewhere how I once spied her in a waterside restaurant in Venice and how her books were my guide to that city on my first visit. There are now well over twenty Guido Brunetti mysteries and perhaps I have now read too much other good stuff but The Temptation of Forgiveness did not provide the satisfaction of the earlier works. https://www.kirkusreviews.com/book-reviews/donna-leon/the-temptation-of-forgiveness/ Brunetti now rails routinely against the depredations of tourism and tourists who make life miserable for the few remaining Venetians, and the crimes he investigates have some neat twists. But he remains essentially ageless, not much changes. His boss is as unfathomable as ever; the boss’s ever-ahead-of-the-game expert hacker is as strong as ever; his colleagues are as much as they ever were, just like him and his family. The city changes, but not them. These days, crime fiction is very often about personal change – think Wallander and say no more. I don’t get this from Guido now, and sadly so, because he has been a central part of my crime life. Early next year I will be a part of Rotorua Noir, https://www.facebook.com/KiwiCrimeFiction/ , so it is fitting that I round out my recent reading with a couple of authors who will star there. Fiona Sussman won the 2017 Ngaio Marsh Award with The Last Time We Spoke, the story of a violent home invasion in rural New Zealand, and the consequences of that for all involved as victims or perpetrators. Set firmly in the “domestic noir” mode, now so strong in the UK and elsewhere, it is harrowing in parts, but realistic in capturing the New Zealand underbelly, as it were. And in doing it explores dimensions of the contemporary Maori and Pasifika experience, laid bare earlier in Alan Duff’s confronting Once Were Warriors. Sometimes overwhelming, it remains impressive because Fiona Sussman is a seriously good writer. So, too, is Alan Carter who recently won the 2018 Ngaio Marsh, for the cleverly titled Marlborough Man, and so added to his Ned Kelly Award for best debut of a few years ago. Here, an English undercover cop fleeing a criminal boss intent on revenge is relocated to rural New Zealand, specifically the Marlborough Sounds and Nelson, best known these days for the astonishing amount of sauvignon blanc it produces. This has serious characters and a strong story arc but with banter and light relief, wordplay and interplay between characters, and a back story of domestic pressure in the cop’s family life. It is a good read. Meanwhile in other news. My Crusaders (you know I hate the Orientalist name) won the Super Rugby series yet again; and the All Blacks the Rugby Championship despite losing at home to South Africa – that was a timely reminder for the ABs heading into next year’s World Cup. The International Cricket Council had Dubai-based Pakistan flogging Australia in 40C+ heat, while India at home has been flaying the West Indies who are no longer the force they were when I played in Barbados long ago. And the Dodgers are in the World Series for the second year in a row, and we fans hope for a better display than against the Astros last time. But they are up against a massively talented Boston so who knows. This next bit will have come to the attention of those who followed the link to Rotorua Noir. In my last couple of blogs I mentioned that Le Fanu 4 was under way. Well, now, amidst all the chaos recounted earlier here, he is ready to reappear in A Greater God. 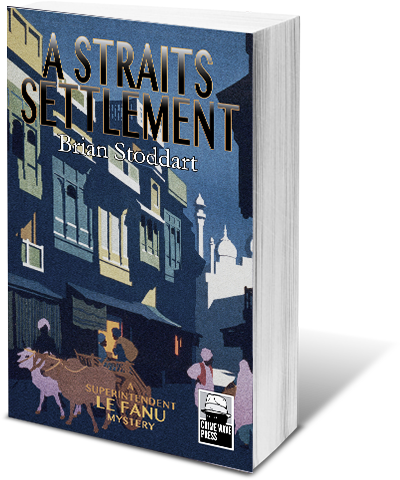 Le Fanu returns to Madras from the adventures of A Straits Settlement, intent on getting back to Penang as fast as possible, attracted by Jenlin Koh and a new post. But things get complicated, naturally. 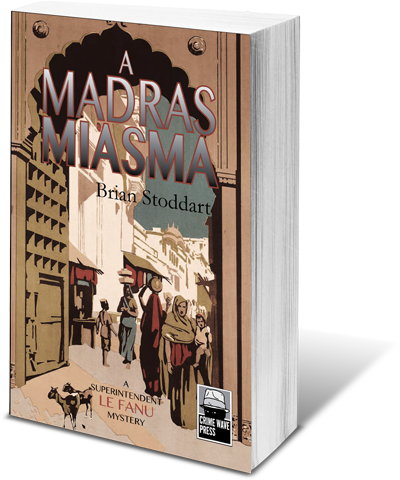 Hindu-Muslim tension is rising in 1920s Madras, affecting the working relationship between Habi and Jackson Caldicott, Le Fanu’s two main police offsiders. Arthur “The Jockey” Jepson is exploiting that in a campaign for ever higher office as Le Fanu’s major government supporters prepare to leave the Presidency. Le Fanu’s personal life becomes complicated, again, as the professional problems mount and he comes under severe pressure to resolve his future. Auckland’s wonderful Adrienne Charlton has been a sensational editor on this one, and from her I have learned an enormous amount. http://www.amproofreadingnz.com/ It is a running joke that she insists I do not use enough semi-colons and I insist she wants too many hyphens. But the final quality of the book owes much to her, as does its very presence on several global platforms awaiting a late-November release. If you need an editor, then I recommend her most highly. And Adrienne thinks A Greater God has a stronger complexity than its predecessors, and a bit more of a “slow burn”. Maybe I was thinking about Guido. I do hope you will all like it when it comes out, and if you do then needless to say I would love for you to post reviews on Amazon and anywhere else you can find.